Thank you for volunteering to be a Scout Leader! 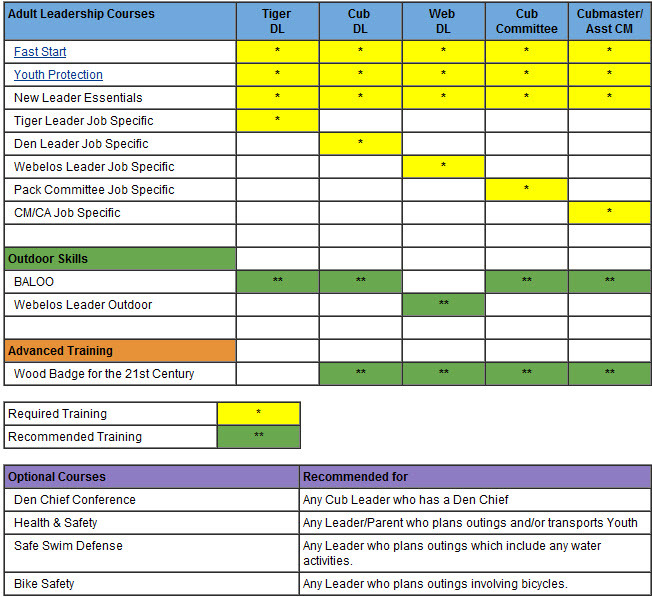 You must first complete the new Den leader Training modules through the BSA website. Use this link to connect to their Website.